The major tourist attractions of Thrissur district are Athirapally and Vazhachal falls, the temple town of Guruvayoor, Elephant Sanctuary near Guruvayoor, Peechi Dam and wildlife sanctuary, Chimmony wildlife sanctuary, Chettuva backwaters and Kerala Kalamandalam. If you are hanging around in Thrissur town, there are some interesting spots to conveniently access. Attractions of Thrissur town are art and archaeological museums, Thrissur zoo, Vilangankunnu and Shakthan Thampuran Palace. The temples of Vadakkunnathan, Paramekkavu and Thiruvampadi are also significant, even though entry is restricted inside. Puthanpalli, the tall church building, is also an attractive structure. 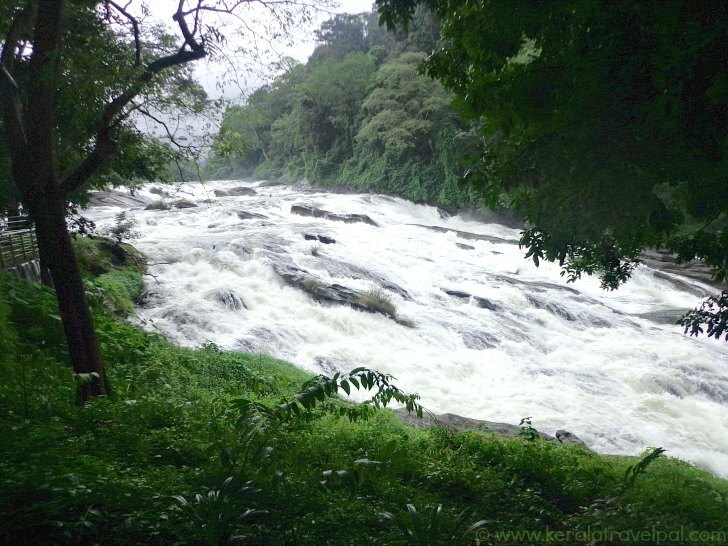 Athirapally, the most prominent of all Kerala waterfalls, is located about 63 kms from Thrissur town. The streams that eventually morph into Chalakkudy River originate in the mountain region of Sholayar. Covered by evergreen forests where wildlife thrives, Sholayar is wild and abundant in beauty. The rivulet flows at great speed through rocky beds surrounded by multitude of herbs, shrubs and trees. It produces three waterfalls within a few kms! Of those, Athirapally is the mightiest and the most visited. The 80 ft plunge is voluminous and spectacular enough to attract even plenty of interstate visitors. While Athirapally is a great picnic spot, it is also excellent for a few days of relaxing stay. In case you settle for a waterfall vacation, some of the interesting regional attractions are Vazhachal falls, Malakapara tea Gardens, Thumpurmuzhi Gardens, Dream World theme park, Silver Storm Theme Park at Vettilapara, Vachumaram, Peringalkuthu Dam, Anakkayam,and Sholayar Dam. Well enough to keep one occupied! About 5 kms before Athirapally, the rivulet rushes down through rocky inclines, much like a speeding train racing down slopes. Collective power created by water contrasts the pacifying woodlands and still mountains in the background. Dissimilar yet thoroughly enjoyable, water spectacle at Vazhachal is neither a horse tail fall nor a cascade. The horizontal flow of shallow waters may appear greatly tempting to get into, beware, and keep away by all means. Hundreds of deaths have already happened and security is intense nowadays. Great scenic beauty alone makes Vazhachal one of the top tourist attractions of Thrissur. 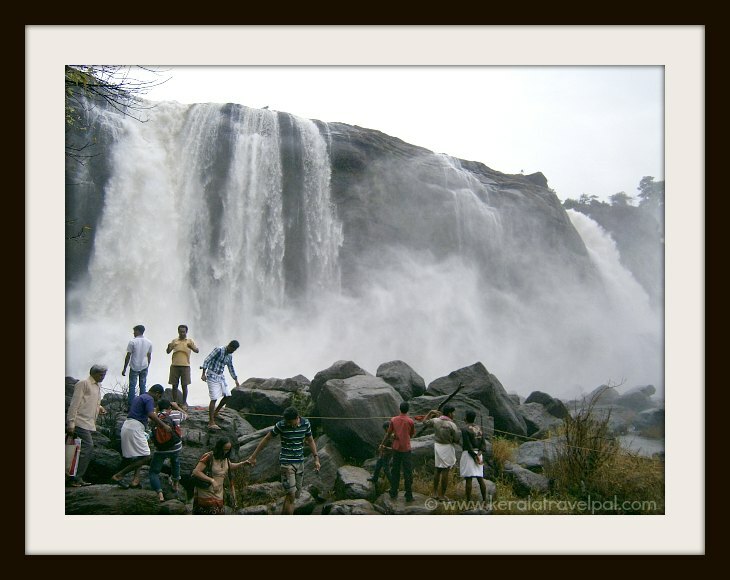 The waterfall is located 68 kms from Thrissur town. Peechi Dam is a popular picnic point. Flanked by woods and gardens, the dam across Manali River is excellent for scenic views. The reservoir takes up a wide area amidst the forest. The beauty of the local landscape is best enjoyed by taking boat rides. At times, elephants can be seen over the distant banks. An added advantage of getting to Peechi is sighting some wildlife. Peechi – Vazhani Wildlife Sanctuary spreads around the catchment areas of Peechi and Vazhani Dams and into the ever green forests beyond. The 125 sq. Kms reserve protects several species including tiger, leopard, elephant, deer and bison and so on. Simply stated, it is rich in both plant and animal life. Peechi, a major tourist attraction in Thrissur, is about 20 kms east of town. There are only 25 bio-diversity hotspots on earth. Chimmony wildlife sanctuary is one of them. Flora and fauna are similar to that of Peechi Wildlife Sanctuary since these two reserves are connected. Chimmony wildlife sanctuary is popular for its trekking trails and nature camps. Panoramic views from Chimmony dam is also a highlight of the sanctuary visit. More than 160 types of birds distinguish local woods as an important bird area. Butterflies are also abundant, and the 100 or so species include rare ones such as the Atlas Moth. The Sanctuary, one of the chief attractions of Thrissur, is located 35 kms from town, toward the eastern corridor of the district. The temple town has a different feel, especially those areas in proximity to the temple. Non Hindus are not permitted inside the temple. However, they can hang around outside where most of the action takes place. 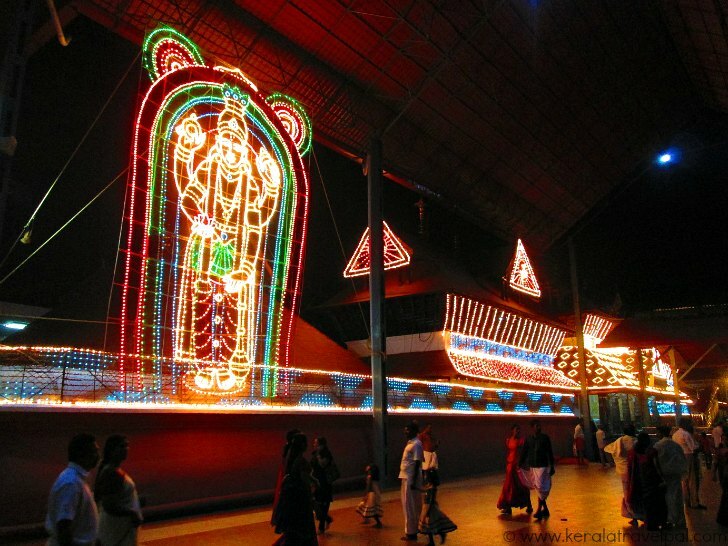 Sree Krishna Temple at Guruvayoor is among the most venerated and visited shrines in India. Guruvayoor, a divine destination for devotees, is also one of the absorbing attractions of Thrissur. The open air theater just outside the temple gets busy in the evenings with performances of dances and music. Small shops within temple complex are great places to buy Kerala Souvenirs. As bulk of pilgrims are on vegetarian diet, there is a good choice of vegetarian restaurants. Enjoying some local veg food such as dosha, idli or thali is also part of Guruvayoor experience. Guruvayoor is a good option for overnight stay. Especially so, if visiting other local tourist spots. Are you curious about elephants? If you do, Elephant Sanctuary (Anakotta) just 2 kms away from town, is a must visit. Located 2 kms from Guruvayoor town, Anakotta is quite unique and interesting. The 10 acre coconut plot is home to more than 60 elephants. Elephants belong to Guruvayoor temple, one of the most prominent shrines in Kerala. Affluent devotees donate elephants to the temple. Regarded sacred, they assist in some temple rituals besides being the chief attraction of temple festivals. At Guruvayoor Anakotta, a range of elephants, from juniors to giants can be seen from just a few meters away. If timing is right, visitors also get to see washing or feeding them. Elephant sanctuary, one of the premier tourist attractions of Thrissur, is also one of the fascinating travel destinations in Central Kerala. It is 23 kms from Thrissur town. Chettuva River creates broad backwaters before reaching into Arabian Sea. Chettuva, the meeting point of backwaters and Arabian Sea is 6 kms from Chavakkad town. Tiny islands appear scattered amidst vast bluish tinge. A few of the larger Islands now accommodate an Ayurvedic Resort. The operators of the resort, Rajah Group, also conduct backwater tours. Country boats come with a skipper and the rides are quite popular. One or two small houseboats have also started catering to visitors. If you are visiting Chettuva, make sure to visit Azhaimukam, the exact spot where the backwater meets the sea. This area of wild waves is has its own rough beauty. Chettuva, the upcoming tourist destination, lies 23 kms from Thrissur town, along Vadanapally route. Poet Vallathol Narayana Menon founded it in 1927, with the intention of training Kathakali as well as other performing arts. Kalamandalam has ever been the premier training centre of local arts. The major focus is on Kathakali, the dramatic dance. Becoming a Kathakali performer takes up several years of rigorous training. In addition to some music and drama, art forms such as Mohiniattam, Bharathanatyam, Koodiyattam and thullal are also trained. Dedication is the keynote; hence Kalamandalam is a strictly residential campus for all students and masters. Kalamandalam is prominently featured in any tour guide to Thrissur. The bee hive of artistic activities is also a Deemed University. It is located along the banks of river Bharathapuzha in the village of Cheruthuruthi, about 33 kms from Thrissur town. Shrines such as Cheraman Mosque, Palayoor and Pavarotty Churches and Koodalmanikyam temple are visited by many, mostly devotees. 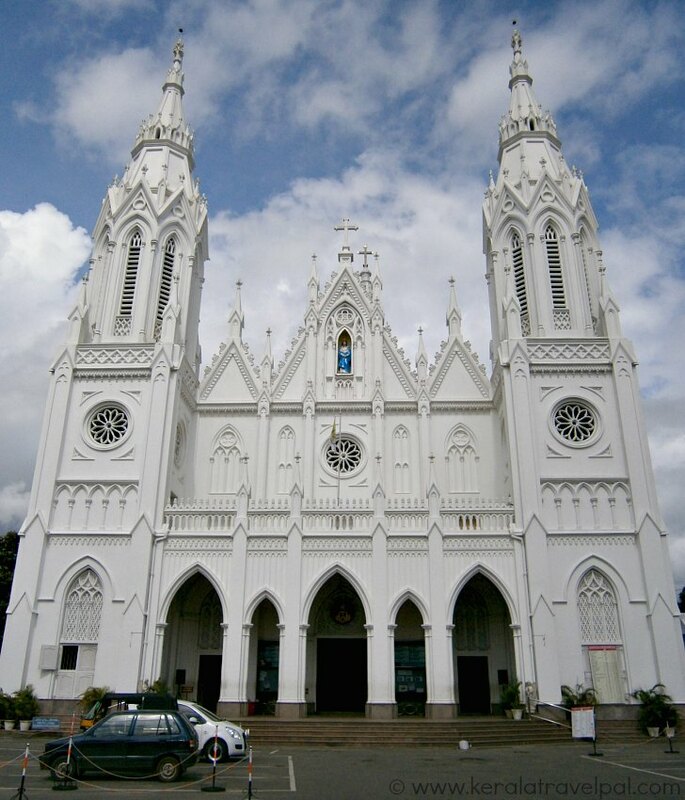 Other attractions of religious significance are Arattupuzha, Christian Divine Retreat Centre at Muringoor, Ariyannoor temple and Saint Thomas Memorial at Kodungalloor. Beaches such as Edakkazhiyoor, Ottayini and Periyambalam are only locally known. Casuarina trees planted one or two decades ago have grown to patchy forests by the sea shore. Bear in mind that these beaches are not safe past twilight. The scenic spot of Kallayikunnu, about 3 kms from Kunnamkulam town, is one of the upcoming attractions of Thrissur.